There’s never been a better time to be a nerd than now. Geek culture dominates the media most people consume. However, the nerd life, goes beyond what’s on TV. The world is littered with cool travel destinations tailor-made for the passions of the self-defined nerd. is like something out of a storybook. A number of companies offer comprehensive tours of the film trilogy’s shooting locations. New Zealand’s visitor bureau put together a comprehensive itinerary of places to visit. Many of the practical sets, such as the lovingly recreated hobbit holes of the Shire, are still intact and open to visitors. Even though Marvel comics captures popular American imaginations, it’s all about Shonen Jump in Japan. For over 50 years, this magazine has been producing some of the most popular manga around, as well as launching media and merchandising empires. They even have the only officially sanctioned Shonen Jump theme park: J-World Tokyo. You’ll find rides, attractions, and exhibits themed around popular properties like Naruto, One Piece, and Death Note. Before heading off to Japan for anime-related destinations, make sure that you pack well. Check out anime clothing providers, like Capsule Corp Clothing. If you’re into Dragon Ball Z, for example, you might want to consider a Dragon Ball tank top. Once you’re in Japan traipsing through all of the anime-themed attractions, you’ll be in your element. Sticking with the DBZ example, others who are a fan of your niche will feel a connection with you as they can immediately tell that you share the same interests as they do. Sci-Fi classics, such as Battlestar Galactica and Star Trek, aren’t the only reason people love space travel. NASA has been a launching point for the popular imagination for decades, and their 14 visitors centers serve as the perfect excuse to pack your bags, pile into the car, and set off on an American road trip. These visitors’ centers span from coast to coast, offering a comprehensive and first-hand perspective on the history of American space travel. NASA even offers a “Passport to Explore Space” for free, offering deep discounts on tours, admissions, and food at the various centers. 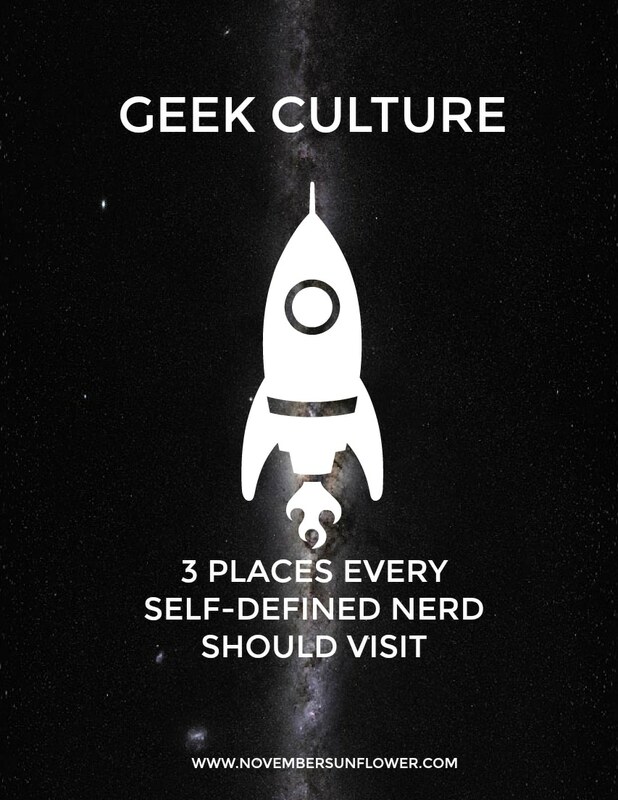 The world has embraced nerdiness, and there’s no lack of opportunities for someone who wants to explore what the world’s geek culture has to offer. These trips can serve as a great primer for the options available to you, but don’t hesitate to do your planning and make each experience your own.